The Wall Street Journal interviewed Bumble CEO Whitney Wolfe Herd about the female-friendly dating app, which has recently styled itself as a social media platform that promotes safety and helping women build relationships. Bumble has been in the news lately because it’s rumored to be eyeing an IPO before the end of the year, with a $1.5 billion valuation. This could mean big news for the app, which competes with behemoths Tinder and more recently Facebook. Still, Bumble has managed to grow to 40 million users, up from 12.5 million in February 2017, which is significant growth compared to its competitors. Dating apps have taught us to be discerning and to not waste time on matches who don’t meet our requirements. After all, there are so many choices! But Gen Z is about to change things with a different attitude and approach. Dating app Zoosk analyzed more than 5.7 million of its profiles and surveyed over 4,000 daters on the site to see where the differences between the generations lie when it comes to dating preferences. 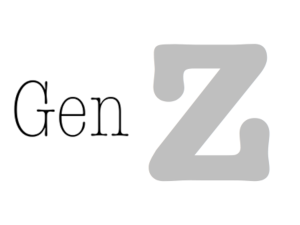 As it turns out, Generation Z (the youngest group of dating app users) tend to have a much healthier approach to dating than Millennials, Gen X and baby boomers. According to an article in Marketwatch outlining the study, Gen Z are the least picky daters, and swipe yes to 33% of potential matches. This is 15% more than millennials and 20% more than Gen X and baby boomers. This increases the odds of meeting in person and having more dates, but younger daters are also typically less interested in more serious relationships and opt to meet more people instead. Online dating company eHarmony will be introducing a new feature to try and prevent its members from ghosting each other on the site. 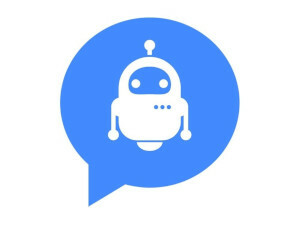 The chat bot also provides specific questions based on the information it can gather from each of your profiles. For instance, if the chat bot notices your match likes certain TV shows, or old school jazz music, the chat bot will prompt you to ask her about her interests. For example, it might say “ask her about Game of Thrones,” encouraging you to not only message your match but provide you with a conversation starter. Bumble disclosed in an exclusive to website Bustle that they will soon be launching a new feature called BumbleSpots to help its members meet face-to-face. 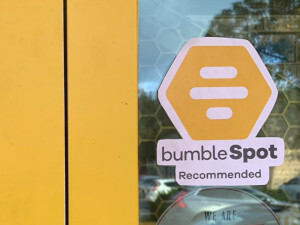 BumbleSpots offers Bumble-verified locations where its members can meet so they feel safe grabbing a drink with a match for the first time IRL. It’s a new way for the female-friendly dating app to appeal to its prime market: single women. Getting people to meet in person instead of messaging each other over a dating app is no small feat. Tinder and Hinge have been trying different approaches to get users to meet face to face, but it’s still a difficult proposition. This is especially tough for female daters, who feel unsafe meeting strangers at locations or neighborhoods that are unfamiliar. Bumble wants to remove as many barriers as possible for women to feel more empowered in the online dating process - not only to reach out via a dating app, but also initiate meeting in person. Tinder announced that it is testing its newest feature Swipe Surge – inspired by popular ride-hailing app Uber’s surge pricing when it operates at the busiest times. Swipe Surge will offer push notifications to users when Tinder usage spikes in a specific geographic area, alerting users to dating opportunities (rather than traffic jams). As Tinder noted, when more people are on the app, the chances of matching increase. 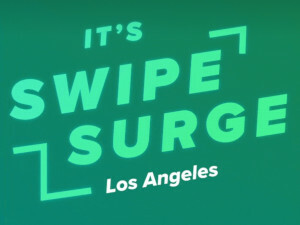 It works like this: if a user opts in to Swipe Surge, their profile goes to the front of the line (virtually speaking), so other users who are also swiping during the surge will see them first. (This advantage is normally reserved for those paying for it at non-peak times.) Those participating in Swipe Surge will also be identified by a badge on their profile. 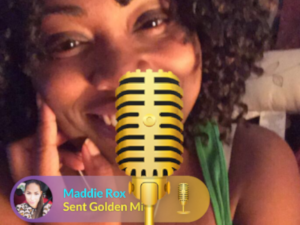 In the pass year The Meet Group has doubled down and put the focus on live video steaming for their social entertainment apps including MeetMe, Skout, Tagged, and LOVOO. 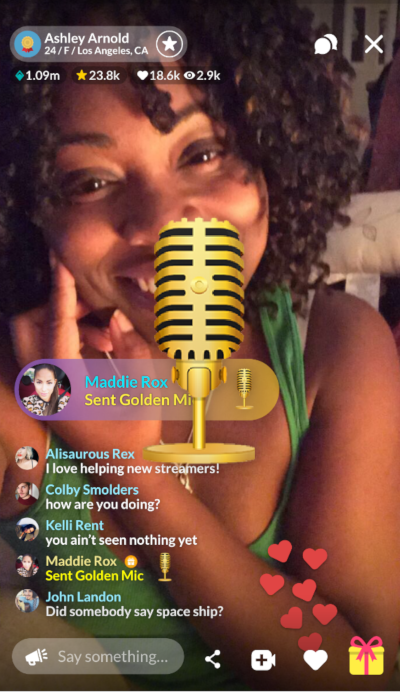 Live video streaming from real members keeps everyone engaged and has increased their mobile daily active users significantly. With the introduction of Live streaming last year and with the final roll out for all apps in August of this year with LOVOO (there most trafficked app), The Meet Group has been able to diversify revenue mix consisting of in-app purchases, subscription, and 3rd party advertising.